It's the most unexpected , boldest and most beautiful introduction I have heard on an album this year. Emilia Amper stick to a single note and stretch it out into a musical eternity; as a way to show that a tone can accommodate a life time. 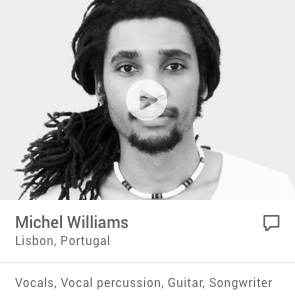 It jars in a way that you possibly associate with Jimi Hendrix or Pablo Casals but not with folk and nyckelharpa. After a while she fills in with wordless vocals. Emilia Amper herself writes in the album cover that she "wanted to explore the possibilities of controlling the harmonics of an open string with just bowing technique, without using the keys or fingers to shorten it, and let my voice merge with the instrument." "Trollfågeln" is Emilia Ampers debut album but she 's certainly no novice . She has played nyckelharpa since she was ten years old. In 2010 she was crowned world champion on the instrument. The same year she received the Royal Musical Academy national scholarship. She has also toured the world and played with Persian, Kurdish and Indian musicians. Deep Purple organist Jon Lord , who passed away last summer, has written a song for her. That Emilia Amper now, thanks to classic quality label BIS, finally gets the chance to make a lavish solo albums in her own way - with magnificent sound - results in one of this year's musical highlights. An album that will reverberate throughout the world. Most beautiful, the most local: a drinking song from Torsås, her home village in Småland, and two slängpolska dance tunes. Nyckelharpa player Emilia Amper's solo debut is released on Robert von Bahr's classical label BIS, after Amper completely impressed von Bahr at a concert. The result is a folk album setting free from its genre and into a space where folk tradition and contemporary music is effortlessly intertwined. In addition to the actual compositions and the performance of them, the recording itself highlights the instrument and the sound worlds that arise in solo playing (a magnificent G minor polska after Jernberg), in smaller settings (with guests like Johan Hedin, nyckelharpa and Anders Löfberg, cello) and in larger string ensemble (with musicians from the Trondheim Soloists). The nyckelharpa is singing strong in Sweden, thanks to the now middle-aged phantoms Olov Johansson (Väsen), Johan Hedin and a whole bunch of colleagues. 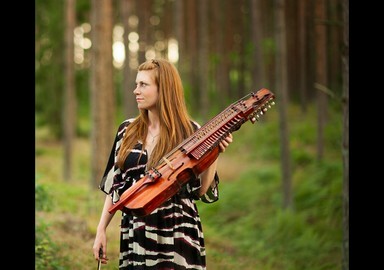 Småland's Emilia Amper belongs to the next generation, she won the World Championships on modern nyckelharpa at Skansen in 2010 and has everything required: brilliant technique, power, sensitivity and taste for both traditional melodies and modern. The musicianship and the animated tone binds together her debut album, from golden oldies in solo versions to Amper's own vivacious "Galatea Creek" with a large group. Hedin is with her and broadens the sound on some tracks, but most outstanding is Amper's heavy and dynamic schottische "Kapad” for string ensemble and percussion ("because there are not so many rock songs for nyckelharpa, I have to compose them myself"). It is no exaggeration to say that Småland born Emilia Amper lifts the nyckelharpa music to new levels, writes a happy Ulf Gustavsson and gives her five of five points. - It is no exaggeration to say that Småland born Emilia Amper lifts the nyckelharpa music to new levels. 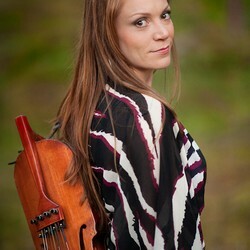 As crowned world champion of nyckelharpa, extensively touring artist and partner with all different kinds of musicians ranging from rock nestor Jon Lord (who wrote a song for her) to chamber orchestras and Asian folk musicians, she has a rarely rich frame of references to draw from when she mixes Swedish folk songs with original material on the new CD Trollfågeln. Her virtuosity on the nyckelharpa is magnificent, well-modulated and distinct in flowing melodic lines. But in addition, she is also able to build evocative moods and dance rhythms with gentle accents of guitars, cello , percussion and strings from the Trondheim Soloists. And with her clear as a bell, natural vocals that seem taken directly from the forest bogs. And this without ever becoming kitsch or ingratiating when she lets the influences from Swedish folk music, romantic tradition and world music meet. If you also have the opportunity to listen to the disc in the powerful multi-channel mix (SACD) you will be hopelessly lost, I promise. That Emilia Amper won the world championship title on nyckelharpa 2010 is easy to understand when listening to this debut solo album. At the bottom lies the traditional Scandinavian folk music, but Amper really goes the whole hog. Polskas intermingled with rock, pop and chamber music inspired pieces. Sometimes compositions for nyckelharpa and string quintet, and sometimes the material is futuristic and freely improvised. The journey starts in the Nordic countries with a tribute to the Finnish accordion virtuoso Maria Kalaniemi in the intro Till Maria, where strings melts together with voice. Then both Brazil, Namibia and Canada are visited, accompanied by lots of percussion. An album with many layers. Emilia Amper (1981) is reigning World champion of nyckelharpa, Artist of the Year 2013 at the Swedish Folk&World Music Awards, Swedish&American Grammy nominee, Norwegian Grammy winner, and awarded composer. She has performed all over Europe, in China, USA, Canada, Namibia, India, Iran and Brazil, with ODE, Skaran, Blink, the TrondheimSoloists, Kalaniemi, Hedin, Frisell, Furebotten, Haltli and Meyer. She has done various projects with Iranian, Indian, Kurdish&Turkish musicians, pop/rock&jazz musicians (including Jon Lord, Deep Purple, who wrote a song for her). 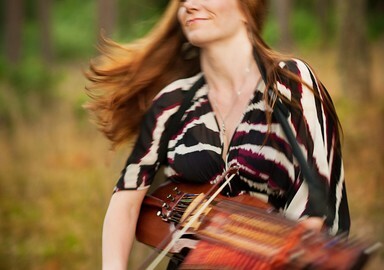 She has two BA's and one master in Swedish&Nordic folkmusic, composition and musicology. Instrumentation: nyckelharpa&vocals, violin, viola, cello, percussion.